Matt Davis, the Co-Founder of MixedPears, a company that makes products that help you nurture children by embracing their natural curiosity, and designer of BiteSizers portable food scissors joins eHealth Radio and the Children's Health and Nutrition Channels. What inspired you to create them? How do you feel BiteSizers can impact a child’s appreciation for food and any developmental skills, and how do they make parents’ lives easier? 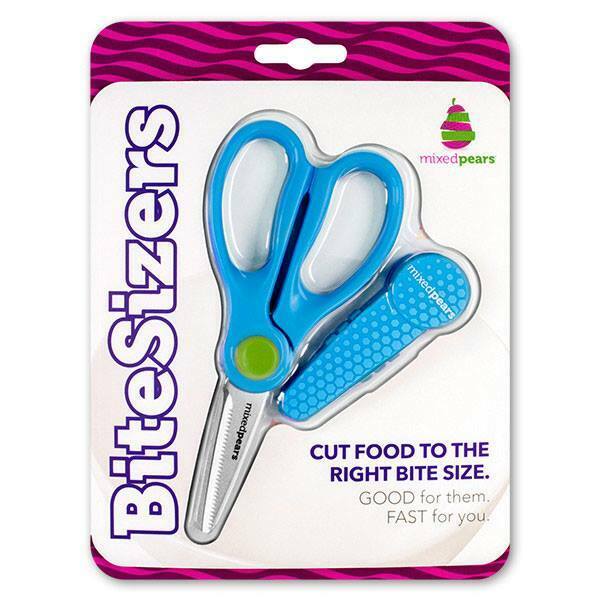 What sets BiteSizers apart from other food scissors? Any new products on the horizon for Mixed Pears? Matt Davis has children’s products in his blood. Growing up in a suburb of Buffalo, New York, he was always around kids products as his father worked in research for Fisher-Price. His own career in product design and marketing took him to Taiwan where he now resides with his wife and two small sons. It was a result of living abroad that Matt observed children eating exactly what adults eat and inspired him to design an easy way for parents to feed their children.